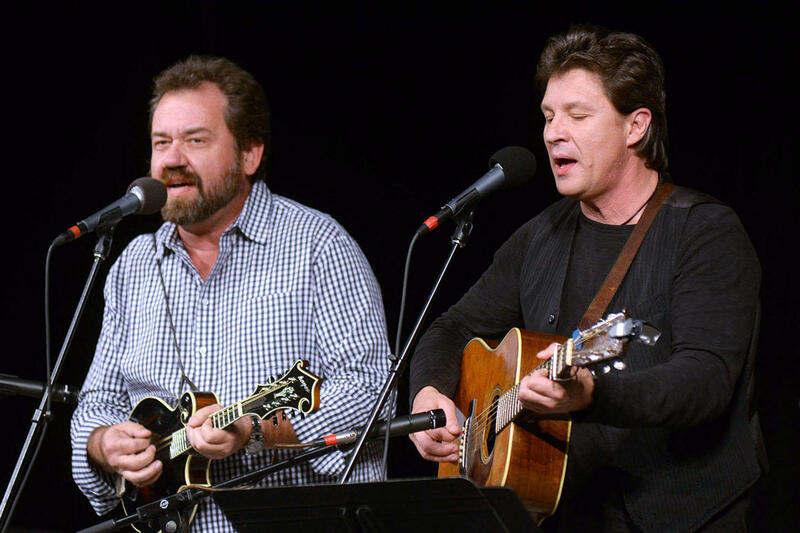 Bluegrass mainstays Dan Tyminski and Ronnie Bowman join forces on this week's Mountain Stage, beginning with their take on the Jimmy Martin classic "Hold Whatcha Got." This episode was recorded at the 80th annual Mountain State Forest Festival, on the campus of Davis & Elkins College in Elkins, WV. You'll also hear Sara Watkins with songs from her latest solo release "Young In All The Wrong Ways," guitar icon Eric Johnson (whose piano skills impressed everyone), plus the bluegrass-rock blend of Mountain Heart and Nashville based songwriter Elise Davis. Find a station in your area here and be sure to follow along on Facebook, Twitter and Instagram. Tyminski is back on Mountain Stage January 14 in Morgantown, WV with songs from his highly acclaimed modern-country project, Southern Gothic. Subscribe the podcast for free on iTunes and never miss an episode! Copyright 2017 West Virginia Public Broadcasting. To see more, visit West Virginia Public Broadcasting.